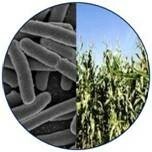 General information about this blog and about the uses of biotechnology to improve biofuel production. The “Advanced Biotechnology for Biofuels” Blog is Back! I’m happy to report that, after a hiatus of about a year and a half, I’m reviving the “Advanced Biotechnology for Biofuels” blog. Although I’ve not been blogging over those 18 months, it has been a time when I’ve been able to devote all of my professional attention to the renewable fuels industry, and to broaden my areas of expertise to include many aspects of the biofuels business, particularly including regulatory requirements for the certification of new motor vehicle and aviation fuels, and for establishing sustainability of fuel manufacture for compliance with the U.S. Renewable Fuel Standard (RFS) and similar programs. In the weeks to come, I expect to be writing about topics such as the following. Updates on developments in industrial biotechnology regulation, including descriptions of new regulatory filings in the biofuel and bio-based chemical space since my last blog entries in the spring of 2011. I’ll probably also be able to discuss the regulatory structures for industrial biotechnology that are in place in countries around the world, beyond those I have already discussed in the blog. Descriptions of programs such as the U.S. RFS, the California Low Carbon Fuel Standard (and similar laws proposed in other states), the European Union Renewable Energy Directive, and discussion and analysis of recent developments and controversies relating to these programs. More mini-profiles of biofuel companies utilizing advanced biotechnology approaches, focusing on newer companies that have arisen or come into prominence in the last year or two. Descriptions of new inventions and other technology developments arising from universities and other non-profit institutions that may be available for licensing. I also plan to include discussion and analysis of important public policy developments and controversies, in the U.S. and elsewhere, affecting the biofuels industry, including real time comments about significant industry news of general interest to the renewable fuels sector. For this purpose, I’ve begun a new blog, “Biofuel Policy Watch”, which will focus exclusively on legislative, regulatory and other public policy issues, although there will likely be some (hopefully complementary) overlap between posts on the two blogs. As always, I’m happy to respond to comments or questions from those of you who are following these blog posts. I look forward to continuing the dialogue on the prospects of this exciting and promising industry.